A typical Designer Day is when the fashion designer brings their line to a boutique for a special in-shop showing for the store’s customers. Here you will find one of a kind pieces at a price not normally available for customers. 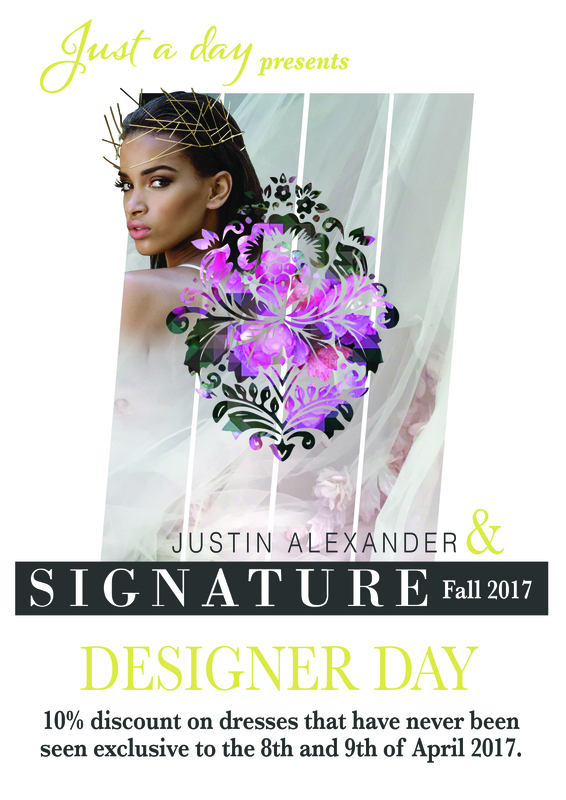 We will be presenting the Justin Alexander Fall 2017 collection, which has not been released to the public. The only ones who have seen it are the designers, stockists and buyers and soon to be those who book an appointment on the day. Every year, the bridal industry takes a new turn into modernisation (combined with tradition) and style in order to create gowns that suit the brides of today. Come and view the latest styles and tell us what you think.